While looking over some information on Goldenfeast’s Sweet Potatoes Bird Treat it occurred to me just how often I have used these tasty vegetables during my life as a private and professional animal keeper. I would hazard a guess that, with the possible exception of bananas, yams and sweet potatoes have figure in the captive diets of a greater variety of animals than any other food item. Animals ranging from African dwarf mice to African elephants, golden pheasants to ostriches, millipedes to land crabs and iguanas to Galapagos tortoises consume them avidly (at an aquarium in Japan, I was astonished to see Australian lungfish gobbling them up as well!). It turns out that sweet potatoes are an ideal food item – high in fiber and packed with valuable nutrients. Goldenfeast’s dehydrated sweet potatoes offer a convenient method of providing your birds with their benefits. Although marketed for parrots, I suggest you offer small bits to your finches and softbills as well. If you keep shama thrushes, mynas, Pekin robins or similar birds, you might try soaking the potatoes in water for a few minutes to re-hydrate them. Hello, My lovebirds(peachface) take many different foods besides seeds, including these sweet potatos, but won’t touch pellets. They seem ok on seeds, but I would like to have pellets make up some part of their diet. I have tried mixing in with seeds, cutting amount of seeds and sticking the pellets into fruit. I’m using Pet Place fruit blend for cockateils pellets. Thanks. It’s a good idea to add pellets to your lovebirds’ diets; thanks for choosing our fruit blend product. You might try starting the birds off with foods that incorporate pellets along with other foods in a single unit – Lafeber Avicakes and Nutriberriesare well accepted by many birds. Higgins Egg Food is another favorite, although not all lovebirds take to it. If yours do, try using it to disguise the pellets a bit. Sticking the pellets into fruit is a great idea but, as you’ve no doubt observed, parrots are very good at extracting what they want and discarding the rest. One trick (which works on all kinds of animals) is to roll the pellets around in strawberry, raspberry or other fruit jelly (use “Spreadable Fruit” or similar brands, which contain fruit only) – the birds will not be able to remove the jelly coating easily, and may eat the pellets. Peanut butter works in some situations, but would be tedious to use with lovebirds and likely not as effective as fruit jelly. 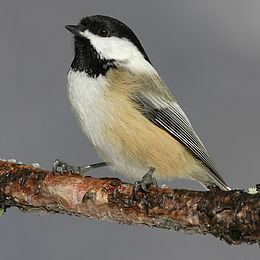 Please check out my article on pellet-based bird diets and keep me posted when you have a moment. michael Skeans Scottsdale Az .. just wanted to share this. because of the intense heat this summer , I had to move my birds .By using a solar power supply to my 12volt fan they are now getting the extra air that they need to stay cool. If that didn;t work ,I was going to put dry ice in front of the fan.. Thanks for the tips…I’ve heard from friends in Arizona who are finding it too hot even for their Horned Toads and other desert-adapted lizards!